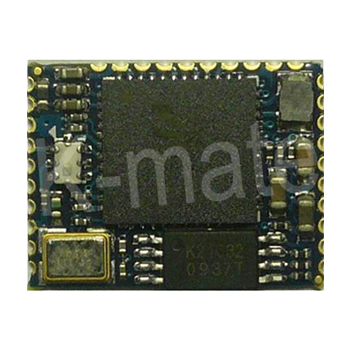 The KMBT009A/B/C/D is a Bluetooth sub-system using BC6130/BC6140/BC6145 chipset from leading Bluetooth chipset supplier Cambridge Silicon Radio.The C6130/BC6140/BC6145 is a single-chip radio and baseband IC for Bluetooth 2.4GHz systems including enhanced data rates (EDR) to 3-Mbits/s. With the on-chip CSR Bluetooth software stack, it provides a fully compliant Bluetooth system to v2.1 + EDR of the specification for data and voice communications. 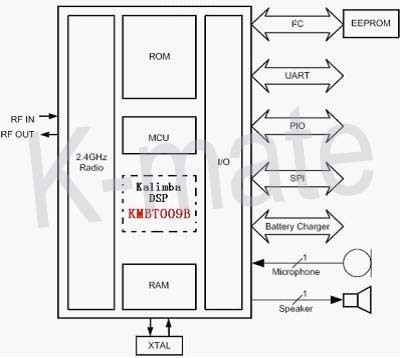 KMBT009B/C/D contains the Kalimba DSP coprocessor for supporting enhanced audio applications.